Vampire Angel is tormented by a vision linking his shameful past to something very big—and very bad—that is coming. The goddess Illyria gives Angel some insight and incentive. Then she really gets involved, and Angel discovers that it might be possible to change the future by changing the past. * Writer Corinna Bechko (Tomb Raider, Star Wars) brings you the vampire Angel in his own series! * Featuring Fred and Illyria! 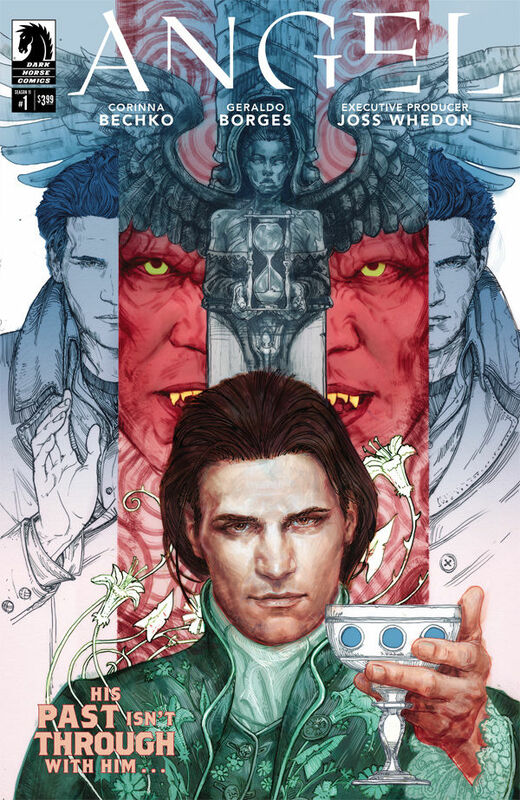 It is incredible when you think about how the comic book series of Angel with this issue is now longer than the TV series that the comic is suppose to continue. Despite being far removed from the television series which ended way back in 2004, Joss Whedon's presence is still very much apart of the series as Executive Producer of the comic but you really have to hand it to Writer Corinna Bechko for capturing the feel of the show with its humor and intensity. The artwork and coloring is a bit uneven at times but still works well to compliment Bechko's storytelling. The first issue takes Angel to Dublin with a nice setup story for future issues. Those that haven't been following the series or doesn't know who or what Angel and Fred/Illyria is may be a little confused at first with little background given to the characters. New readers gets a very brief summary in the credits page but more could have been given. Overall, a good first issue filled with enough intrigue that will have me reading a few more issues at least. Michelle Monaghan as Carol Saunders, Tommy's wife and an RN. Peter Berg and Mark Wahlberg works well together in these heart felt based on true story dramas and Patriots Day is no difference. 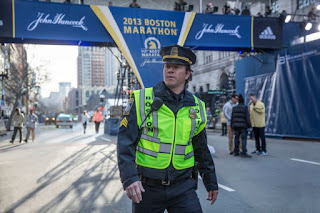 Based on the book Boston Strong that covers the Boston Marathon bombing back in 2013, we get a look at all the behind the scene procedural that led up to the resolution of the case. 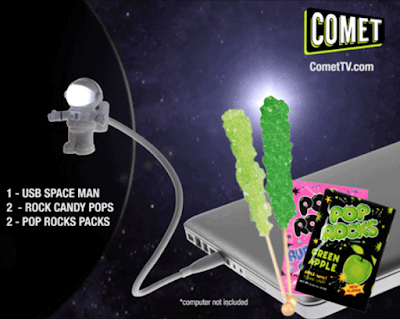 It was also a nice touch to include interviews and updates on the actual people that the film mentions. The film as with all of Mark Wahlberg's dramas focuses on his character in this case, Boston Police Department Sergeant Tommy Saunders. The film was heavily criticized for emphasizing on this one person, and it is true, but of course this is Hollywood's story. 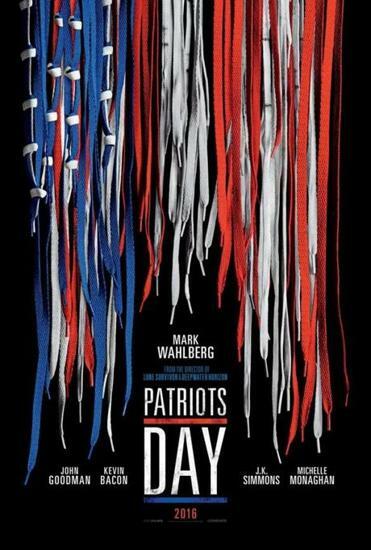 Thankfully, Mark delivers an outstanding performance in this rousing patriotic movie showing how Boston came together as a city. Mark is not alone as the film is actually quite solid throughout including the bombers themselves played by Alex Wolff as Dzhokhar Tsarnaev and Themo Melikidze as Tamerlan Tsarnaev. Overall, the film is a great pick me up in spirits type of film. The attack scenes are heart wrenching as expected and quite bloody. However I imagine they could have done a lot more gore if they wanted and thankfully they didn't. The only complaint for the film would be that if you know the actual facts of the events and the people involved you may be taken aback by some of the portrayals and omissions. But otherwise a good film to watch while it is still out.